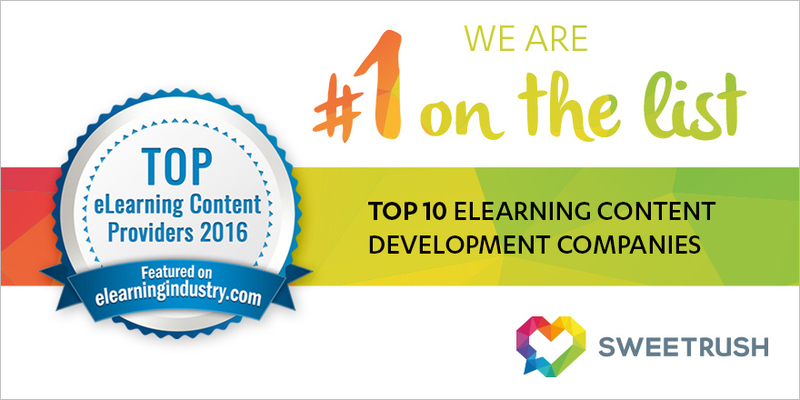 SAN FRANCISCO, CALIF., September 28, 2016.—SweetRush is proud to top the list of learning and development solution providers on eLearning Industry’s Top 10 eLearning Content Development Companies for the third consecutive year. The Top 10 is an impressive list of the best eLearning companies “that employ pioneer eLearning strategies in specialized areas,” Pappas says. Visit elearningindustry.com to find the complete list of the Top 10 companies.